Now that there are starting to be anti-abortion protests in England on par with what we've been experiencing in the United States for years, the British Pregnancy Advisory Service (BPAS) has issued statement saying that they're fearful that the increasing number of high-profile anti-abortion campaigns in the country will have a negative impact on the decision of doctors to train in providing abortions and could restrict patient access to the procedure in the future. This comes in the wake of a review that was ordered by the government of more than 250 clinics in England that provide abortions. 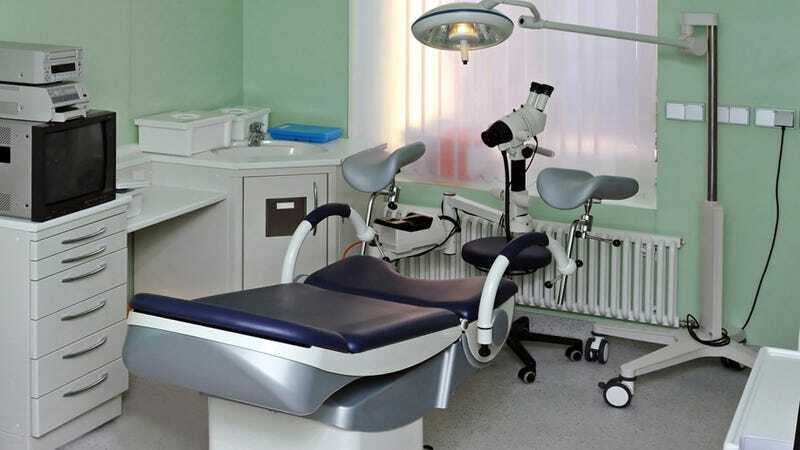 It's claimed that there was some misconduct—namely, pre-signing of consent forms for terminations by doctors—but BPAS, which runs some of the abortion clinics that were inspected, and other pro-choice groups have said this review is a "witch hunt" and politically motivated. BPAS also reports that a new campaign of protests outside clinics was "causing anxiety among doctors," and, they said, "The current politicisation of abortion provision is likely to make it even harder to recruit a future generation of abortion doctors who are prepared to provide the care that a third of women will need in the course of their lifetimes." Up until now, the UK hasn't really had the kind of crazy, extremist protesting that has been in the U.S. for years. And their fear of effects is justified, the U.S. has definitely seen declining numbers of abortion providers as protesting and violence has picked up. The biggest drop in the number of providers was in the 1990s, when three doctors were killed in a period of five years. There were 2,680 providers in 1985, and only 1,787 remained in 2005. Recently, the numbers have held steady, since violence was less of an issue in the mid-2000s. However, it remains to be seen how numbers here will shape up given the 2009 murder of Dr. George Tiller and the increasing anti-abortion agitation that's been happening lately. The U.K. probably doesn't have to worry about U.S.-levels of decline just yet, but it's certainly true this could be yet another negative effect of these extreme protesters spreading their message across the world.